Use a Silcone Baking Sheet or Line a baking sheet with parchment paper. 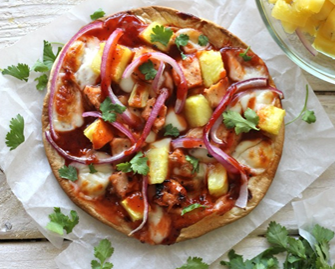 Spread you favorite Gluten Free BBQ sauce evenly over the top of each flatbread. Place into oven and bake for 8-10 minutes, or until the crust is crisp and the cheese is melted on top.